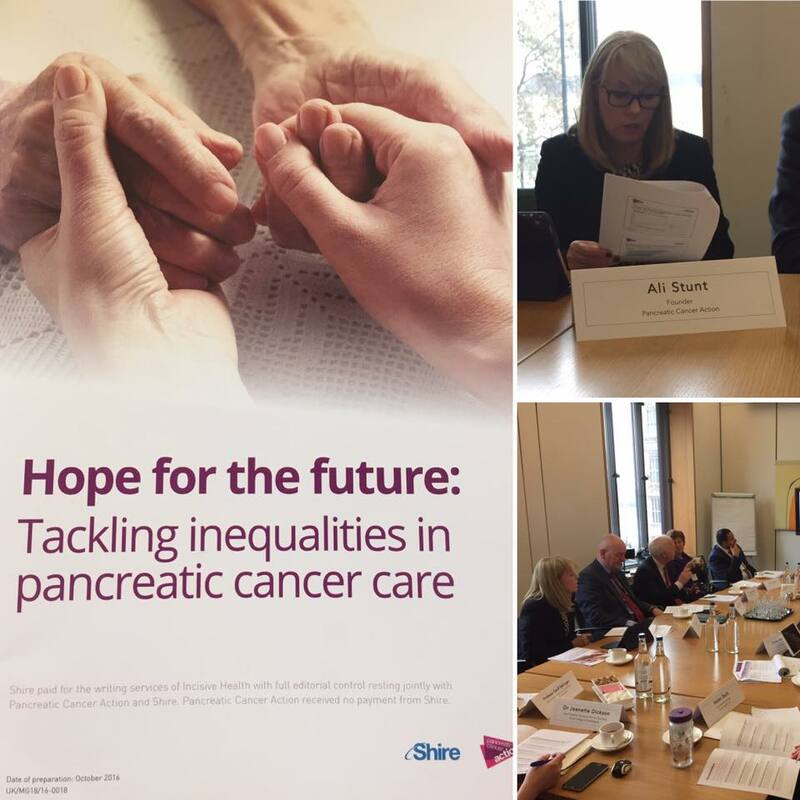 The focus of our campaigning this Pancreatic Cancer Awareness Month is sharing the recommendations from our ‘Tackling inequalities in pancreatic cancer care’ roundtable held in October last year. Originally we were going to do this during the summer but the snap election put an end to that, so we decided that Pancreatic Cancer Awareness Month would be a perfect opportunity to release the recommendations. The roundtable, which was held at the end of 2016, brought together clinicians, charities, and other experts in pancreatic cancer, as well as parliamentarians, to discuss the report. Why not write to your MP about the report and the roundtable recommendations? We have developed a template letter that you can personalise and send to your MP along with a copy of the report. Introducing a national clinical audit for pancreatic cancer. Attendees supported the report’s recommendation for a national audit. It was noted that such an audit could help to isolate the factors which were leading to the variation in pancreatic cancer outcomes across England. Promoting optimism for the future of pancreatic cancer. It was noted that optimism is critical to ensuring investment and prioritisation in pancreatic cancer services. It is also important in encouraging people with the signs and symptoms of pancreatic cancer to seek help when they need it. PACE system in Scotland could be replicated in England to ensure that the challenges faced in poor prognosis cancers are better reflected in appraisal processes. Improving engagement with the pharmaceutical industry. Attendees suggested that more needed to be done to encourage clinicians, patient groups and the pharmaceutical industry to work together to develop new treatments and increase investment in pancreatic cancer. Showcasing the spill over benefits of investment in research for pancreatic cancer. Attendees suggested that showing the spill over benefits of investing more in research in pancreatic cancer could be a way to make the case for greater investment in research, thereby helping address historic under-investment.